but we throw in our world-class customer service for free! Since 1973, Syntec Corporation has been providing quality water treatment products and services to a wide range of industries including chemical, food processing, electric utility, health care, manufacturing, pharmaceutical and commercial real estate. While there is no single formula for continued corporate growth, certainly continuing product innovation, dedicated and motivated employees at all levels of the organization who are committed to customer satisfaction and of course, quality products with discernible value to the customer are key considerations. From the beginning, Syntec has been committed to these objectives, and to knowing who we are, how we got here and how we will continue to kindle this spirit into the twenty-first century. Proven industry leader in boiler and cooling water treatment technologies for over the past 40 Years. Satisified Clients – Our average client retention is greater than 15 years. Full Line of Softening, Filtration and Ultra-Pure Pre-Treatment Equipment. 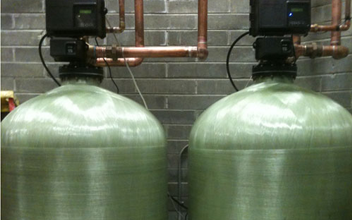 Complete maintenance and repair capabilities – One call will solve your water treatment equipment repair problems. 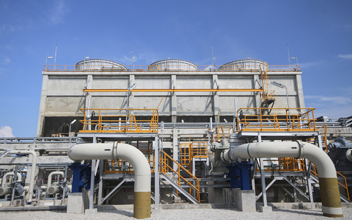 Whether your application is an industrial process system with high heat flux across a mild steel heat exchanger or a commercial cooling system in a large metropolitan high-rise, one fact is certain: Unscheduled outages due to deposits or corrosion are unacceptable. 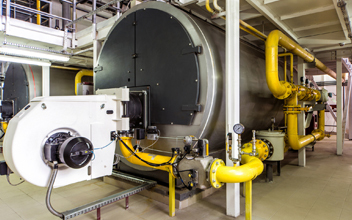 Syntec designs and implements treatment programs for a wide class of steam boilers and commercial heating boilers. Whatever the technology, the same attention to detail is given to every aspect of the system, in order to provide heat transfer surfaces free of scale and deposition. When you do business with Syntec for your external water treatment equipment needs, you have the advantage of having a company which can provide total service and technical support including detailed water analyses, design capability, operator training, and full service and warranty support.